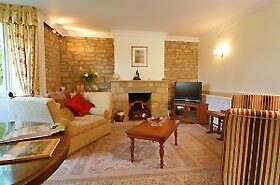 Cowley House is a beautiful mid 18th century Cotswold stone property, originally a farmhouse and granary. It has been refurbished by the owners, Joan and Peter Reading, who aim to provide guests with a warm and friendly welcome and the best in hospitality and service. Situated in a quiet location in the heart of the village and adjacent to the village green. Cowley House offers an ideal location for your stay in Broadway. The house and gardens provide an ideal opportunity to relax and enjoy the magnificent Cotswold scenery. The hall has a magnificent flag stone floor and there is a wealth of elm beams in various parts of the house. 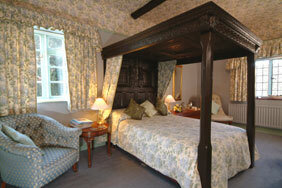 One of the bedrooms has a romantic Elizabethan style four poster bed, with lovely views and tasteful decor. There are 6 double/twin bedrooms, 5 of which have en-suite facilities, and one which has a private bathroom. Each bedroom is furnished to a high standard. A hospitality tray, personal toiletries, hair dryer, TV, radio, alarm, fluffy bathrobes and magazines are available in each room. A delicious breakfast made with fresh, local ingredients is served in the elegantly refurbished breakfast room. We will happily accommodate any special dietry requirements on request. *Breakfast time: 8am-9am (or by prior arrangement). *This is a non-smoking establishment. *Well behaved children are welcome. *Small well behaved dogs welcomed at small supplement. *A reservation fee of £25 per room is requested.